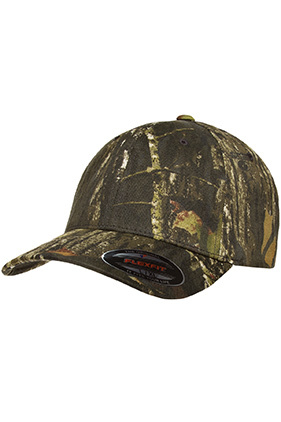 97% cotton brushed twill/3% spandex mossy oak cap. Structured, low-profile. Six-panel. 3 1/4" crown. Permacurv® visor. Sizes: S/M: 6 3/4"- 7 1/4", L/XL: 7 1/8" - 7 5/8", XXL: 7 3/8" - 8"